Pilasters are one of the most elegant forms of trim. They come in many different designs, shapes and sizes. They are generally used to separate rooms that share common walls or to add vertical separation between two areas of a home. This is quite common with today's open concept homes where the whole home shares one continuous wall that runs through many rooms. Pilasters can also be used decoratively around fireplaces or instead of normal casings to create an opulent grand entrance for any formal room or doorway. Pilasters can stand alone or be integrated with wainscoting, chair rails, baseboards or crown moldings depending on the application. Pilasters are similar to square columns in many ways except that they can stick out no more than 4 inches from the wall with the widest part being the face. Pilasters can also be modified to go around or into a corner. Elite Trimworks Pilaster kits are very easy to install, fully customizable and come with all the necessary parts pre cut for ease of installation. 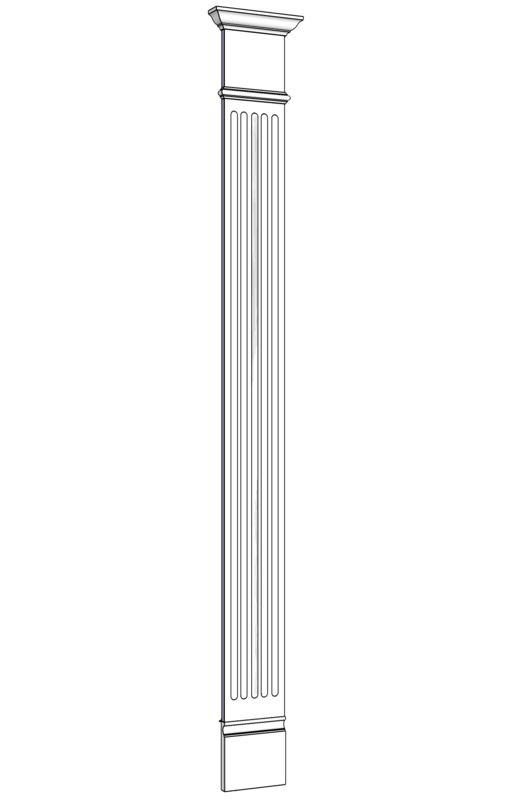 Elite Trimworks offers unique configurations in 8 or 9 foot heights. Like all our square columns, they can be smooth, paneled or fluted depending on the facing chosen. Welcome the beauty of Elite Trimworks Pilasters into your home and set yourself apart from the rest. Although our facings are 8 feet tall, they do allow for customization. If you have a particular height requirement, please call us to check for availability. 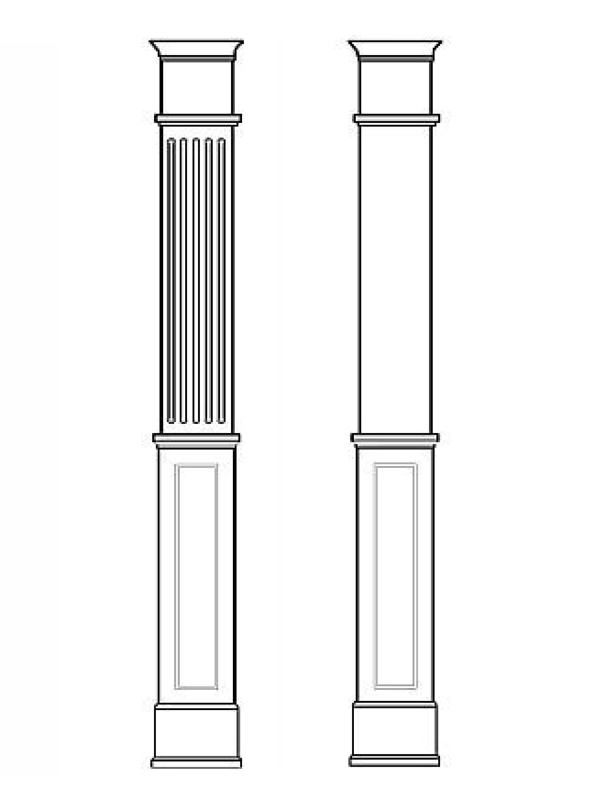 Both 7 and 9 foot Pilasters are standard heights. 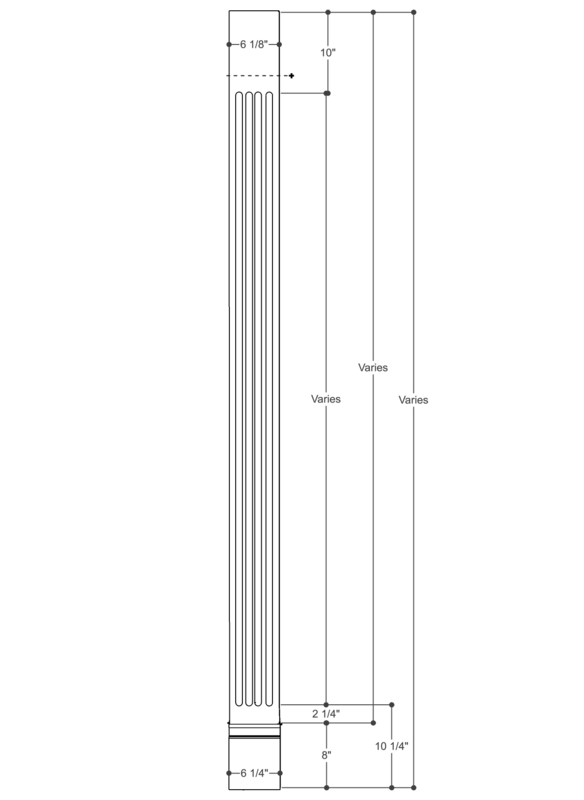 In keeping with the true classical order of architecture, the flutes never run through the entire shaft. 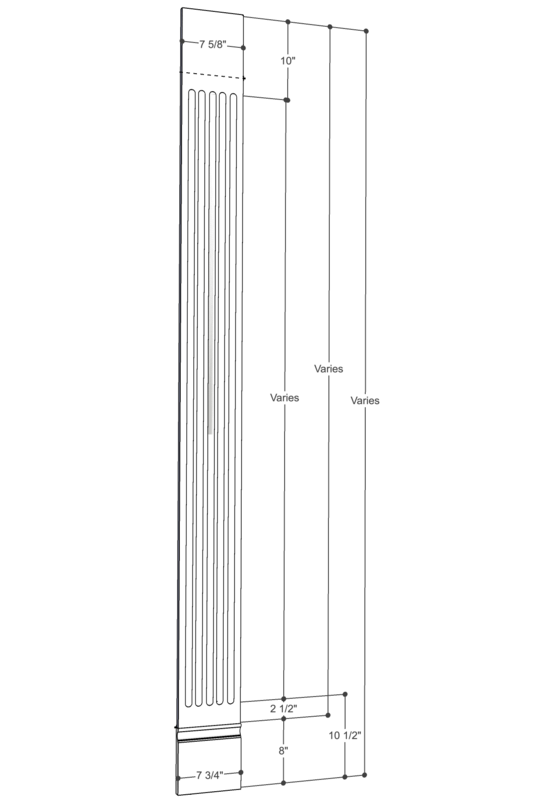 Our flute length is based on the overall finished height and flutes always stop short of the base and capitol. Note: the 9 foot Pilasters have a seam running horizontaly 1 foot down from the top, this seam is a result of the extension piece required to get the overall 9' finished height. The seam is concealed by using a decorative trim. The base has also been elongated to be more proportional. 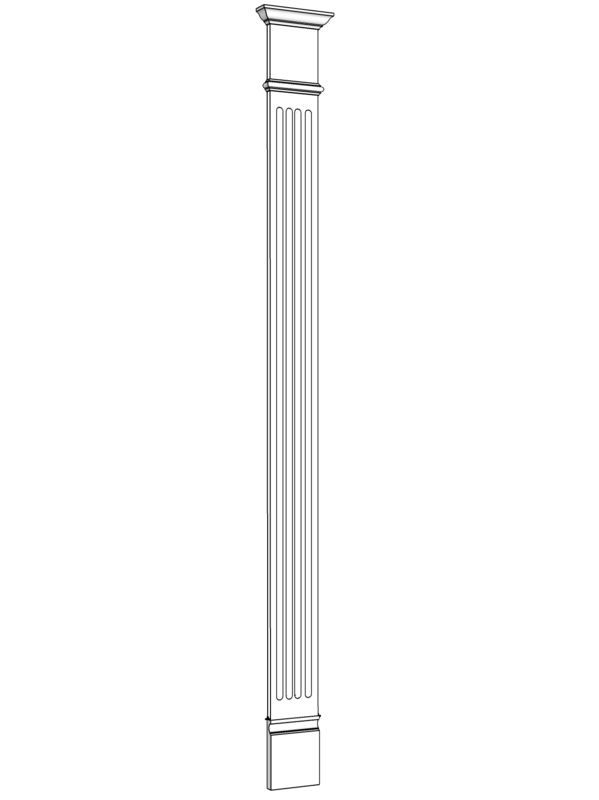 In the case of a 7' Pilaster, everything including the flutes are shortened in proportion to the height.